C.H. Armstrong is an Oklahoma native transplanted in Minnesota for twenty-six years. A 1992 graduate of the University of Oklahoma, she holds a B.A. in Journalism with a minor in History. A prolific reader of many genres, Cathie — as she is called by her friends — vividly remembers learning to read and the thrill of “unlocking the code” behind the letters that make up a word. Her favorite novel is To Kill a Mockingbird, and The Edge of Nowhere includes a character named Atticus as a silent nod of thanks to Harper Lee for inspiring her to be the person she is today. 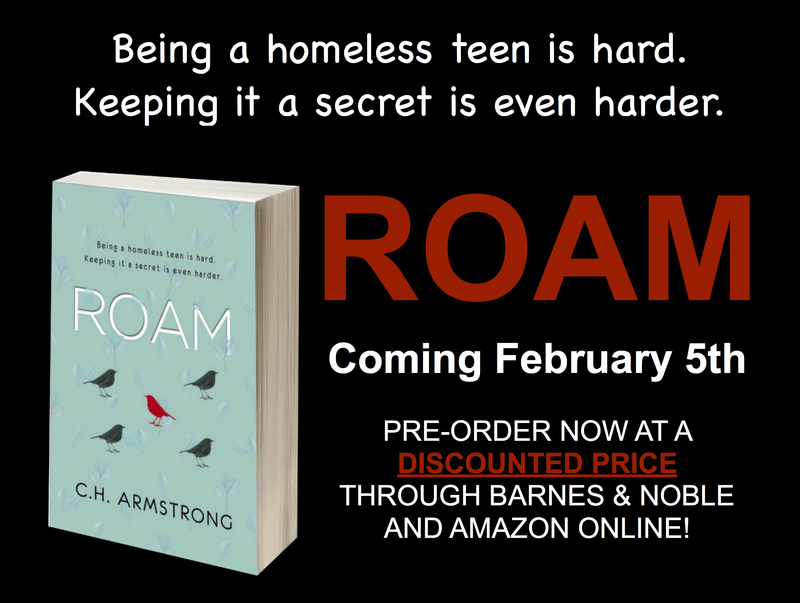 Similarly, Roam (her young adult novel about a homeless teen and her family) pays tribute to Harper Lee and the many life lessons taught through her character, Atticus Finch. The manuscript for Roam is recently been acquisitioned by Central Avenue Publishing for release on February 5, 2019. The Edge of Nowhere is Armstrong’s first published novel and was inspired by her own family’s experiences in rural Oklahoma during the one-two punch that was The Dust Bowl and The Great Depression. While it is overall a work of fiction, many of the main plot points were based upon her grandmother’s struggles as a young widow during the era. Armstrong’s father, represented by the character of Ethan in the novel, is the 8th of 14 children. Since the release of The Edge of Nowhere in January 2016, Cathie has been busy working on future projects. Among those projects is an anthology of short stories entitled DÉJÀ YOU released in Spring 2017 with fellow authors and her dear friends Jamie McLachlan, Kelly Cain, Bianca Schwarz and Amanda Linsmeier. Additionally, she’s currently working on her next full-length novel about the current very real issues surrounding sexual assaults on college campuses. Armstrong maintains a very active presence on Facebook, Twitter and Instagram, and she loves receiving e-mails from readers. You can email Cathie at Cathie@charmstrongbooks.com.